I'm sorry, but this pattern no longer links up. It was free from the AAQI Update Blog and AAQI officially closed its doors at the end of 2013. It was a wonderful pattern! Thanks for the positive comments. They always make me smile. A note to anyone thinking about making little quilts . . . . . give it a try!! 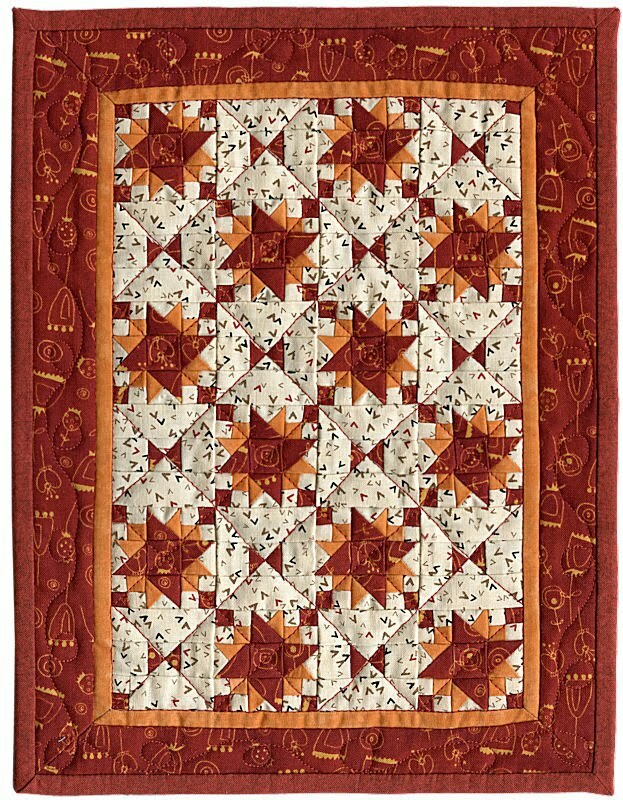 There seems to be a perception that they are more difficult to make than larger quilts. To borrow some words from Nancy Elliott MacDonald*, at first “you may feel like it’s the first day with your new hands”. And working with small pieces did feel strange to me at first but even the first wasn’t all that difficult and by now I find the little ones easier to piece, and certainly easier to quilt and bind, than larger quilts. How cool is that? Way to go quilters and quilt buyers!!! I've been praying wether or not to have my sewing class make little quilts to honor our Pastor and his mother who had Alzheimers I guess I have my answer from Martha's note. Lovely, Cheri!! Blessings to their family and yours. I will try to make a tiny one in future.. you are an inspiration. That's a really cute quilt! I can never imagine how miniature quilts are made they have such tiny pieces but this one makes me want to try. Thanks so much for sharing all of the pattern links that you do. You are such an excellent resource for all of us quilters!